Did you like the cute little hearts sent to you in the previous post? 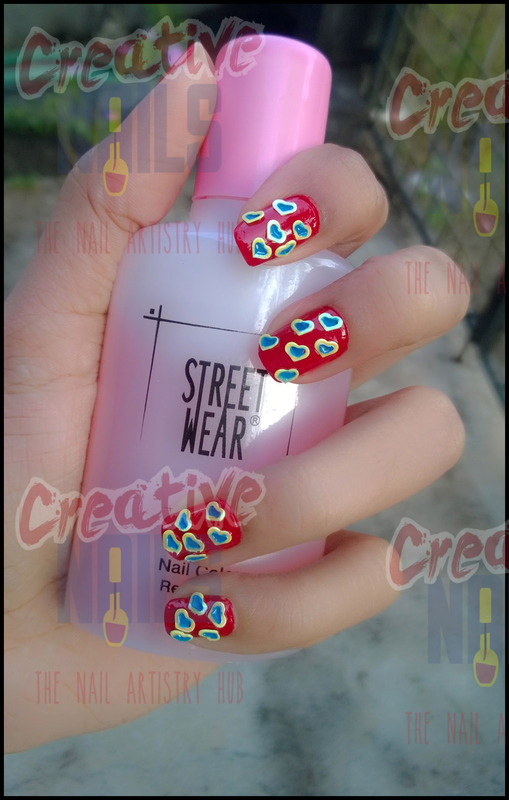 (https://creativenails.in/2015/02/01/cute-little-hearts-nail-art/). Today Creative Nails has bought some blue hearts with a yellow outline decorated on Street Wear’s fiery femme! Try this manicure and do post your suggestions/comments about it. Personal recommendation: Don’t forget to use Street Wear’s Nail Remover to get rid of your old manicure. ← Cute Little Hearts Nail Art!